The Presbyterian Church of the Roses seeks a gifted and visionary music conductor to serve as our part-time Director of Music Ministries. The director will lead our thriving music program and develop its ministry for an even brighter future. This position offers a tremendous opportunity for artistic expression, community outreach and growth in beautiful Santa Rosa. The year-round music program includes 40+ volunteer vocal musicians. Music is a vital part of every worship service, and our dedication to music is known throughout our community. We are blessed with a gifted accompanist who is very skilled in organ and piano. Our bell choir has 16 talented members, and our audio/visual team enhances our musical presentations with artistic scenes projected above the choir throughout the service. Our mission is to reach out with nurturing love to all God’s people. (That means everyone!) We are friendly, inclusive, and outreach oriented. We love to share our resources generously. And we hope you will join our worship team and be a vital addition to our ministry here in Northern California. o Serve as the music leader for the 10 am Sunday worship services (and extra services ac-cording to the church calendar during Lent, Easter, and Advent). o Plan, prepare and practice music for worship. o Work with staff and the worship committee to develop a worship planning calendar ac-cording to church seasons. o Play (piano, keyboard, or organ) during worship, occasional funerals, weddings and di-rect special choral pieces when appropriate. o Encourage diversity in presentation (e.g., solo performances, small ensembles) and se-lection of music for worship (e.g., Sacred traditional, Classical, African, Celtic, Modern sacred music, etc.). • Plan, coordinate, and direct the accompanist in rehearsals and worship services. o Responsible for the recruitment, care and nurture of choir members. o Conduct the adult choirs for the 10 am worship service. o Lead choir rehearsals on Sunday morning at 9:15am and on Thursday evenings from September through June. o Arrange musical offerings during the summer services with choir/instrumental talent. o Recruit, equip, supervise, and support volunteers who will help lead Adult Choir. o Support the Worship committee’s work by communicating with the Pastor and commit-tee members as needed. Attend worship co. meetings once a month, oversee the sound system and provide the worship service music for projection during worship using Media Shout software. o Provide instrumental and/or vocal accompaniment as needed for Sacred Space services on the first Saturday evenings. o Consult with Pastor on weekly worship service development and attend annual planning meeting. 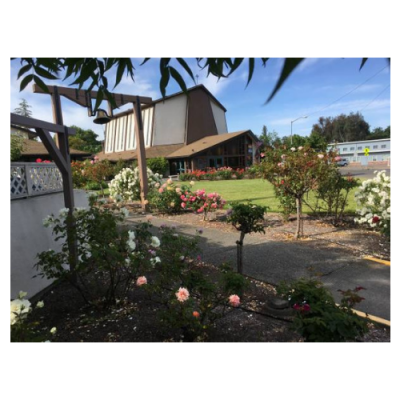 • Contribute articles to monthly issue of the RoseClippings newsletter that highlight the music program for the congregation. • Maintain the church’s music library and computer archives. • Arrange for musicians/instrumentalists to enhance music ministry. • supervisor edited recordings of worship services for CDs of the services. • Prepare slides for projection of hymns in worship. • Degree in Music or Music Education from an accredited college or university. 3-5 years experi-ence as a conductor and choir director. • Possess a high-level capability in keyboard/organ and piano, bells, and demonstrated ability to sight read music and sing. • Openness to musical diversity and creativity. • Strong organizational and administrative skills. Director of the Music Ministry is a professional, part-time position. Expected work hours between 15 hours per week including Wednesday staff meeting, Thursday night rehearsals, Worship committee attendance, Sunday worship and occasional special services. Contact Reverend Dr Cindy Alloway at 707-542-4272 for more information. We are located across from Montgomery Village in Santa Rosa.